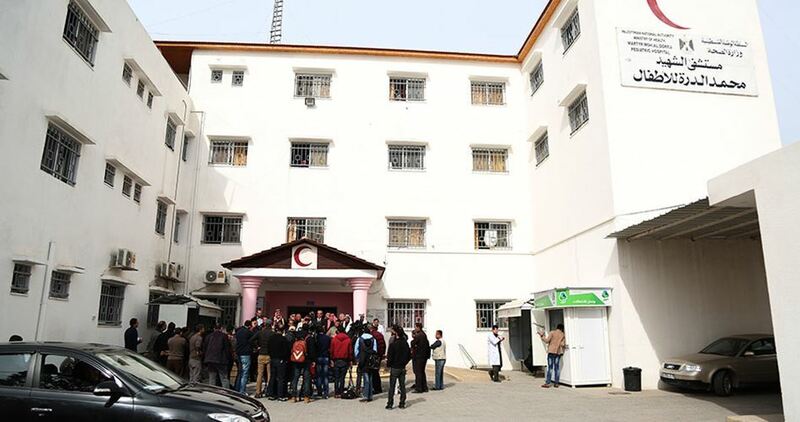 In its annual report that Gaza European Hospital has revealed that %20 of the Palestinians, who were shot by the Israeli army during the Great Return March processions in the Gaza Strip in 2018, were children, and more than half of them were shot with life fire. The report stated that %20 of the wounded were shot by Israeli soldiers in the head, neck or chest, leading to the death of 75 children, and added that %92 of the medical procedures on wounded children were bone and Vascular surgeries. 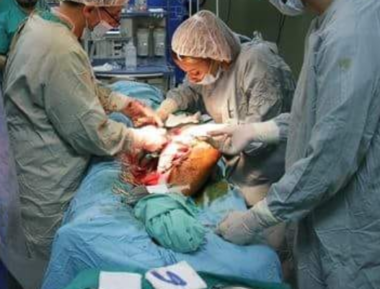 It also stated that the medical teams in Gaza managed to save many of the wounded from undergoing amputations in their lower limbs, as only 24 amputations were performed. Raed Abdul-Razeq, the head of the Patients’ Services Department at the hospital, stated that surgeons have performed 1682 surgeries on wounded Palestinians, adding that %58 of the surgeries were orthopedic, %34 were vascular, while the rest were neurological, or in the chest, nose, ears and eyes. He added that most of the injured children underwent at least two surgeries, due to the seriousness of their wounds. According to the report, the soldiers shot 1169 Palestinians, including 43 women, while 59 of the wounded were placed in intensive care units, and 567 others were placed in surgery wards. 609 of the wounded Palestinians, including 242 children, were shot with live rounds, while the rest were either injured after being directly shot with Gaza bombs, or by shrapnel, in addition to those who suffered the severe effects of teargas inhalation. The attacks against the nonviolent protesters mainly took place near the perimeter fence, east of Gaza city, the al-Boreij refugee camp in central Gaza, in addition to Khan Younis and Rafah, in the southern part, and Jabalia in northern Gaza. fence, fired many live rounds, rubber-coated steel bullets, high-velocity gas bombs and concussion grenades. The Palestinian Health Ministry in Gaza said the soldiers shot and killed one woman, east of Gaza city, injured three others before they were moved to the Shifa Medical center, and caused dozens to suffer the effects of teargas inhalation. Dr. Ashraf al-Qedra, the spokesperson of the Health Ministry in Gaza said the slain woman is yet to be officially identified. He added that the soldiers also shot two Palestinians with live fire, east of Jabalia, suffering moderate wounds, before they were rushed to the Indonesian Hospital in nearby Beit Lahia. Dr. al-Qedra also stated that the soldiers also fired a high-velocity gas bomb at a Red Crescent ambulance, east of Gaza, wounding several Palestinians, including a medic, identified as Emad Sinwar, with a gas bomb that struck his neck, in addition to one journalist. One Palestinian was shot with live fire, and many others suffered the effects of teargas inhalation, east of Khan Younis, in southern Gaza. A number of human rights organizations have called on Israel to stop spraying dangerous herbicides over the Gaza Strip, as they endanger health and crops in the besieged coastal enclave, a press release by Adalah – The Legal Center for Arab Minority Rights in Israel said, on Wednesday. Al Mezan Center for Human Rights in Gaza, Gisha – Legal Center for Freedom of Movement, and Adalah wrote to Israeli Prime Minister Benjamin Netanyahu in his role as Minister of Defense, Military Advocate General Sharon Afek, and Attorney General Avichai Mandelblit with an urgent demand to refrain from conducting further aerial spraying of herbicides inside and near the Gaza Strip, due to the severe damage to crops and the risk to the health of Gaza residents caused by the spraying. According to media reports and accounts from Gaza residents, on December 4, the Israeli military sprayed herbicides, from the air, over areas inside the Gaza Strip and near the fence separating it from Israel. A variety of crops grown in fields near the fence inside the Strip were damaged, as a result. WAFA further reports that, in December of 2015, the military confirmed that it uses planes to spray herbicides near the fence in order to clear terrain. Farmers and local organizations in the Strip report that spraying has occurred since 2014. In June 2016, Gisha, Adalah and Al Mezan submitted a complaint on behalf of eight farmers from Gaza whose crops had been damaged by spraying, calling on the Israeli authorities to refrain from the practice and compensate the farmers, to no avail. In the letter submitted on Monday, the organizations emphasize that the spraying is a highly destructive measure, infringing on fundamental human rights and violating both Israeli and international law. 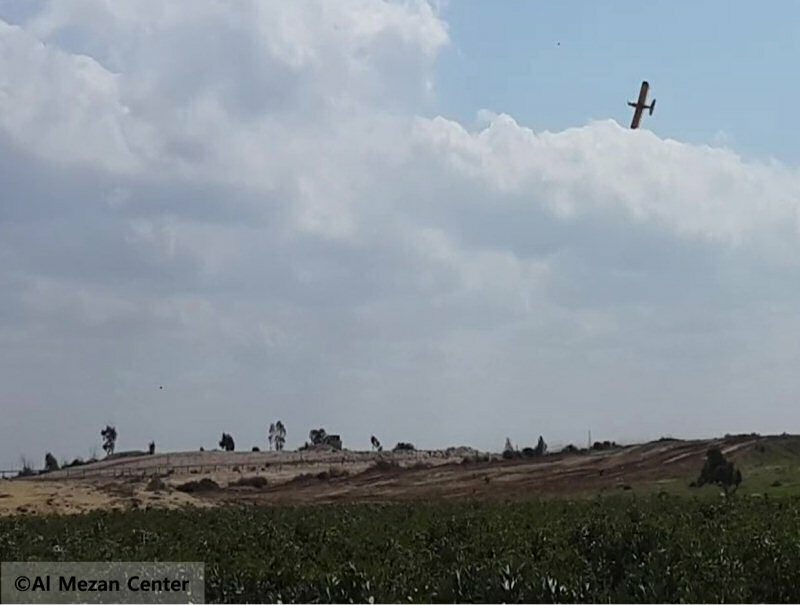 Contrary to Israel’s official position, whereby the military only sprays herbicides over Israeli territory, farmers in Gaza report that the planes spray over the Strip’s aerial space. The letter further notes that even if the spraying were to, in fact, take place only on the Israeli side, the chemical agents used are carried by wind over to the Gaza Strip, causing severe damage to crops and disproportionate financial losses to local farmers, meaning that there is no justification or legal basis for the continued use of this destructive practice. A response submitted by the Ministry of Defense to a Freedom of Information petition, filed by Gisha in 2016, revealed that the chemical agents used in the spraying include glyphosate (“Roundup”), which had been declared a carcinogen by the World Health Organization and has been banned in many countries around the world. Multiple guidelines on the use of this agent entirely prohibit its use by aerial spraying, due to the high health risks associated with it. The letter also cites a 2007 Israeli High Court decision against aerial spraying, in a case that challenged the Israel Land Administration’s directive to spray fields cultivated in unrecognized villages of the Naqab (Negev) desert, in the south of the country, on the alleged basis that the residents of the lands did not own them. The court ruled the spraying illegal, due to the risks it posed to the health of people, animals, and vegetation in the area. The letter concludes with a demand to refrain from all spraying in the Gaza Strip area, and to use other, proportionate measures, within Israeli territory, that do not harm farmers in the Gaza Strip or put their crops or their health at risk. Dozens of Palestinians were injured on Friday afternoon when the Israeli occupation forces heavily opened fire at the protesters taking part in Gaza's Great March of Return. The PIC reporter said, quoting the Ministry of Health, that 15 Palestinians were injured by live ammunition and teargas canisters fired by the Israeli forces. According to the Ministry, seven Palestinian journalists and paramedics were among the injured. Thousands of Palestinians marched on Friday along the border fence separating the Gaza Strip and the 1948 occupied Palestinian territories for the 41st week in a row. The Higher National Committee for the Great March of Return and Breaking the Siege had earlier called on the Palestinians in Gaza to take part in Friday's demonstrations protesting the latest wave of normalization of relations between Israel and some Arab countries. 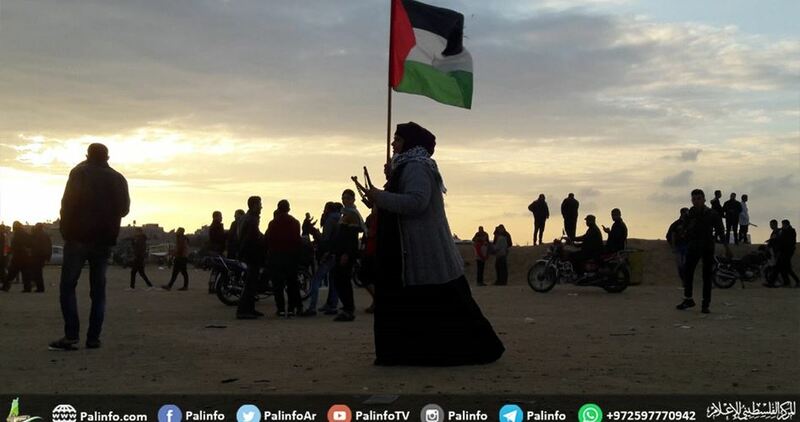 The Palestinians in Gaza on 30 March 2018 started major demonstrations along the border fence to demand the right of return for refugees and call for an end to the 13-year-long blockade on Gaza. Since the start of the border protests, the Israeli occupation army has killed 256 Palestinians and injured over 25,000, 500 of whom are in a critical condition. Israeli soldiers injured, Friday, at least fifteen Palestinians, including one doctor and six paramedics, during the Great Return Match processions in the besieged and impoverished Gaza Strip, after the army resorted to the excessive use of force against the nonviolent protesters, holding the weekly processions for the 41st consecutive week. The Palestinian Health Ministry has reported that the soldiers shot fifteen Palestinians, including six paramedics, one doctor and one journalist, after targeting them with live fire and high-velocity gas bombs. It added that the soldiers shot Mohammad Abu Kashef, a medic with the Palestinian Medical Relief Society (PMRS), with a high-velocity gas bomb, fracturing his arm, east of Jabalia, in the northern part of the Gaza Strip. The soldiers also shot Rafi Shaldan, a medic with the PMRS, with a high-velocity gas bomb in his pelvis, east of Gaza city. 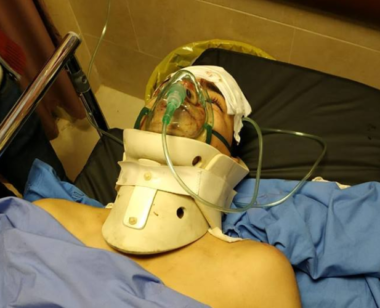 In addition, the soldiers shot another medic, identified as Mohammad Abu T’eima, with a gas bomb in his head, east of Khan Younis, in the southern part of the Gaza Strip. Many Palestinians suffered the severe effects of teargas inhalation, in addition to various cuts, bruises and burns. The army resorted to the excessive use of force against the Palestinians along the perimeter fence, east of Gaza city, the al-Boreij refugee camp in central Gaza, in addition to Khan Younis and Rafah in the southern part, and Jabalia in northern Gaza. In a statement, the head of the Palestinian Medical Relief Society, Dr. Mustafa Barghouthi, strongly denounced the ongoing and escalating Israeli excessive use of force against the unarmed civilians, medical teams and journalists. Dr. Barghouthi stated that the soldiers injured six of the PMRS medics in several parts of the Gaza Strip, Friday, while they were performing their humanitarian duties in providing the urgently needed medical aid to wounded Palestinians. He added that the soldiers deliberately target medical teams with live fire, in addition to rubber-coated steel bullets, gas bombs and concussion grenades, and stated that the soldiers use the high-velocity gas bombs as projectiles targeting the Palestinians hundreds of meters away from the perimeter fence. Dr. Barghouthi denounced these escalating violations, and said the soldiers have killed three medics, and injured dozens, since the Great Return March nonviolent processions started on the Palestinian Land Dar, March 30th, 2018, and called on the International Community to hold Israel accountable for its crimes and violations of basic human rights, including its deliberate targeting of medics and journalists. Last Friday, December 28th 2018, the soldiers killed one Palestinian civilian with disability, and injured eighteen others, including four children and two paramedics. On Friday, December 21st, the soldiers killed three Palestinians, including one child, and injured 115 others, including two journalists and four medics, in Gaza. It is worth mentioning that the soldiers have killed three medics identified as Razan Najjar, 22, Mousa Jaber Abu Hassanein, 36, and Abdullah al-Qutati, 20, in addition to Photojournalist Yasser Mortaja, and journalist Ahmad Abu Hussein, in the Gaza Strip, and injured dozens of journalists, since the Great Return March processions started on Palestinian Land Dar, March 30th 2018. On December 27th, 2018, the United Nations Office for the Coordination of Humanitarian Affairs (OCHA) has reported that a total of 295 Palestinians were killed, and over 29,000 were injured in 2018 by Israeli forces. OCHA added that this is the highest death toll in a single year since the Israeli war on Gaza in the summer, of 2014 and the highest number of injuries recorded since OCHA began documenting casualties in the occupied Palestinian territories in 2005. About % of the fatalities (180 people) and % the injuries (over 23,000) in the context of Gaza’s ‘Great March of Return’ demonstrations by the fence. Across the occupied territories, 57 of the Palestinian fatalities and about 7,000 of the injuries were under 18 years of age. A total of 14 Israelis were killed during the year by Palestinians, and at least 137 others were injured. Dozens of Israeli soldiers invaded the northern West Bank city of Nablus on Thursday at dawn, shot one journalist and one medic, and caused many residents to suffer the effects of teargas inhalation. Palestine TV reported that several armored Israeli military jeeps invaded many neighborhoods in Nablus city, and fired live rounds, as well as rubber-coated steel bullets and gas bombs at several youngsters who had taken to the street to protest the invasion by throwing stones at the soldiers. The TV station added that the soldiers shot its reporter, Bakr Abdul-Haq, 29, with a rubber-coated steel bullet in his leg, before he was rushed to Rafidia governmental hospital. The soldiers also shot one medic of the Palestinian Medical Relief, identified as Yassin Omran, with a rubber-coated steel bullet in his face. The soldiers also surrounded Palestine TV reporters and many other journalists, to prevent them from documenting the invasion and assaults. Medical sources said many Palestinians suffered the effects of teargas inhalation and received treatment. The Palestinian Health Ministry warned Wednesday that Gaza’s fuel crisis is threatening to bring its medical services to a halt. “Medical services are about to stop within days due to the fuel crisis despite austerity measures taken by hospitals and health centers,” ministry spokesman Ashraf al-Qidra said in a statement. Home to more than two million people, the Gaza Strip has been struggling with severe electricity shortages since 2006. The Israeli occupation forces at nightfall on Tuesday obstructed the access of a Red Crescent ambulance into Kafr Kaddum village in Qalqilya to treat wounded Palestinian protesters. The Red Crescent said in a statement that Israeli army patrols stopped the ambulance and detained paramedics before they seized their mobile phones for about half an hour and prevented them from treating injured Palestinians, in a flagrant violation of the international humanitarian law. Sometime earlier, dozens of Palestinians sustained wounds after the occupation forces rolled into the area and attacked the locals with randomly-discharged spates of live ammunition and rubber-coated bullets.